This week has been exhausting. First with our photo-bombing cat getting sick and having to be admitted to the kitty hospital, and then with Matt having a really rough week with exhaustion and weakness (which in turn, takes a big toll on me), I’ve gotten virtually nothing done in the kitchen this week. I was sure that I’d be ready to start pouring the concrete countertops this weekend, and that I might finally have a working kitchen sink next week. But now that doesn’t seem likely. I did manage to build the half wall for the peninsula cabinets, but I still don’t have the electrical stuff done in that half wall, and I don’t have the cabinets installed. Anyway, I was blown away by all of your suggestions and input on the backsplash yesterday! There were so many original, interesting ideas. I read through all of them twice, checked all of the links that some of you left, and really contemplated each idea. I came very close to just going with the IKEA idea that Ayisha used on her herringbone dresser, and my bonus sister (a.k.a., step-sister) Cathi was just minutes away from leaving her house in the Dallas area to head to IKEA to purchase them for me when I backed out. I just couldn’t shake the idea that those particular wood tiles, with the color variation that I love so much, would be too busy with my cabinets and everything else going on in the kitchen. I believe my kitchen needs something a bit more subtle. Interestingly the one thing that I usually dislike about this wood — the heavy grain — is my favorite part about using these in a herringbone design. I would leave the boards as square as possible on the edges, install them as tightly as possible (what would be called zero grout lines if these were actually tiles), and possibly even fill any tiny gaps with wood filler to make the surface as smooth as possible. 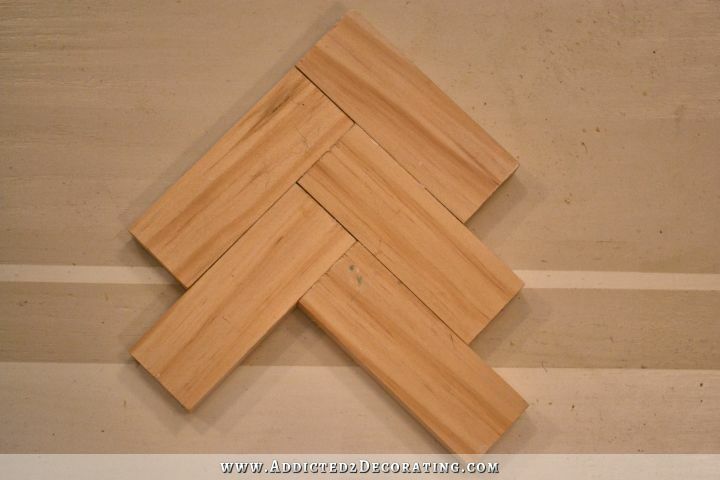 So the herringbone pattern would rely solely on the grain of the wood. The problem, of course, is the color. Ugh…I hate the color of pine! You can see in the picture above how red it is compared to the floor colors. So I definitely need to do some experimenting with that. I tried three different things that I already had on hand, but I knew before I even started that they wouldn’t work. I’m not even sure why I bothered. Obviously I don’t want them stained dark, and that middle stain is just not good at all. The one on the right has a wash of white paint followed by a wash of metallic paint. It’s not horrible, but those washes of paint covered up the grain too much. I also tried a wash of just white paint. It was just okay, but nothing special. So I definitely need to do more experimenting. 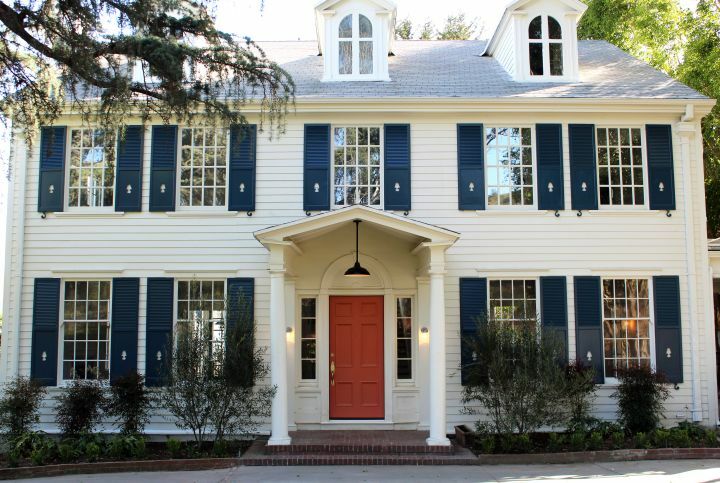 I want it to be subtle, but still obviously herringbone. I don’t want it to be one of those situations where I go to all of this trouble, but then get it so subtle that from a distance that it just looks like a solid backsplash. If I’m doing herringbone, it needs to be visible. And I’m still not 100% sure this is the direction I’ll go. This is just my starting point for now. In my search for herringbone inspiration last night, I actually came across another fantastic green kitchen. This one is designed by Kishani Perera. 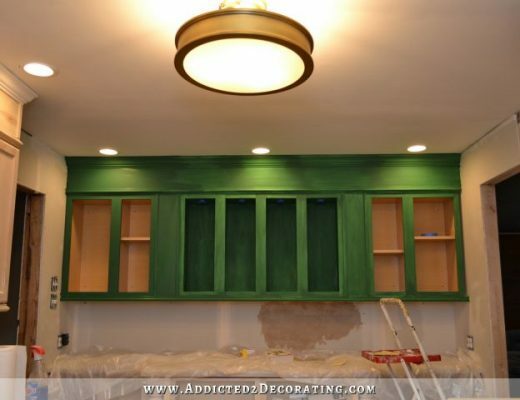 I love those green cabinets! Those look a bit more emerald than mine will be. I think mine will lean more towards kelly green. And totally off topic, but I was looking at more pictures of this project by Kishani Perera, and noticed that the colors on the exterior of this house are very similar to what I plan on using on the exterior of my house…if I ever get to those projects. 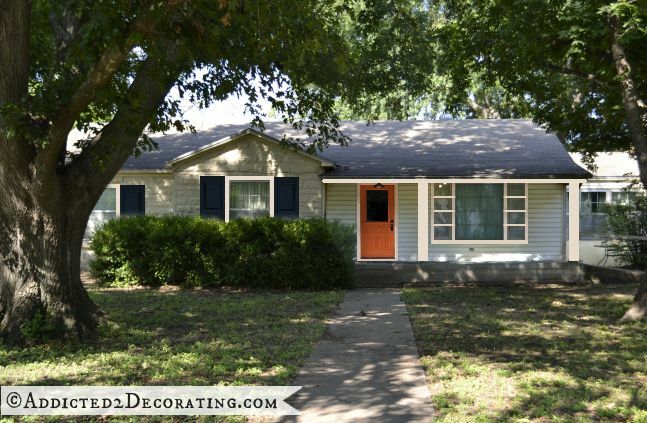 Of course, my house isn’t quite so grand, but the colors I chose for the exterior are very similar. I would seriously reconsider the IKEA option … I don’t see that much difference in what you did and I think the kitchen would look awesomely cozy and warm with that splash of wood in a herringbone pattern. Just my opinion, but it seems like you will be able to save a lot of time for almost the same look! I love your posts … and that you just throw your ideas out there and change your mind sometimes! Makes DIY more “real” than many blogs I read. Thanks! This is beautiful. I can see using cork cut into smaller sections on a back splash but I wonder if the smaller pieces would look too busy? It would be worth experimenting with if the cork looks like a viable option to you. i like this and i know it is for the floor but i love the two tones. ( http://www.prettyhandygirl.com/installing-cork-tile-flooring-in-the-kitchen/ ) so glad you cat is doing better and will get to come home and i hope that Matt will feel better soon. So glad your fur baby is doing better and sorry Matt has had a bad week. All in all, Kristi, even though you haven’t reached your weekly goal, you’ve still accomplishd a lot! More than most of us would have even attempted to accomplish. You are much to hard on yourself. I do understand, however, wanting a working kitchen because of the inconvience. When you were waivering on using those Ikea decking tiles, I wondered why you didn’t make your own as well. Don’t give up on this yet, as you have only used stain colors you have on-hand at this point. How about a wash of a different color stain and then some metallic paint? You will figure it out. You always do. Breathe. Is there any way you can lime them like you did the table top? Maybe mix a metallic paint and the liming to get a cool, funky look? Could turn out totally gaudy, could look awesome. That’s what I was thinking too. It would tie the 2 together. 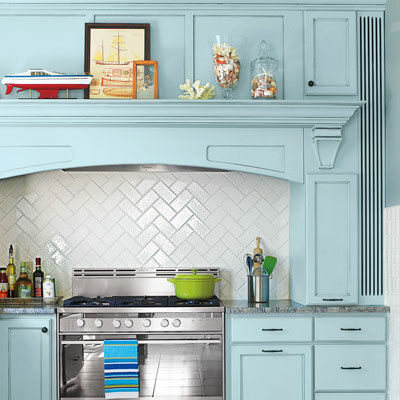 I adore that translucent-looking herringbone backsplash! What is that made of? I don’t see any grout line – could be my failing sight, lol. It would be too much pattern for my personal taste, what with the painted floor and all, but it could be absolutely perfect for you, since you love pattern. Can’t wait to see what you finally decide on. As for the wood tile for the backsplash, I’m back to practicality. Wouldn’t that be hard to clean? Unless, of course, you put several coats of sealer on it…that might make it smooth enough to wipe off easily. But I’m in still looooove with that backsplash I mentioned. Is it cost prohibitive? Maybe someone already said this but what about bronze colored subway tile in a herringbone pattern? Or any other color that you like? I saw this picture and thought it looked nice if you could find the color you want. Of course, the texture may not be what you want but I was thinking the wood tiles could be difficult to clean for a kitchen backsplash. Oh my gosh Robin, I love this. I am not a fan normally of herringbone pattern but I absolutely love the white subway tile done in it here. And my kitchen cabinetry is grey/ blue too so this pic is my favorite! Maybe not for Kristi but I think I have found a winner for myself! lol…. I’m glad to hear Powder is coming home today. I think the stress probably contributed to Matt’s situation this week. Hope things will be better soon! Kristi, I really like the photo you posted with the green cabinets, whitish countertops and the marbled white herringbone tile backsplash. It has the herringbone pattern you love but wouldn’t compete with either the cabinets or the floor. Maybe in a slightly warmer white? Please don’t feel down about your progress – you got enough done the first few days earlier this week than professionals would have done for the whole week! 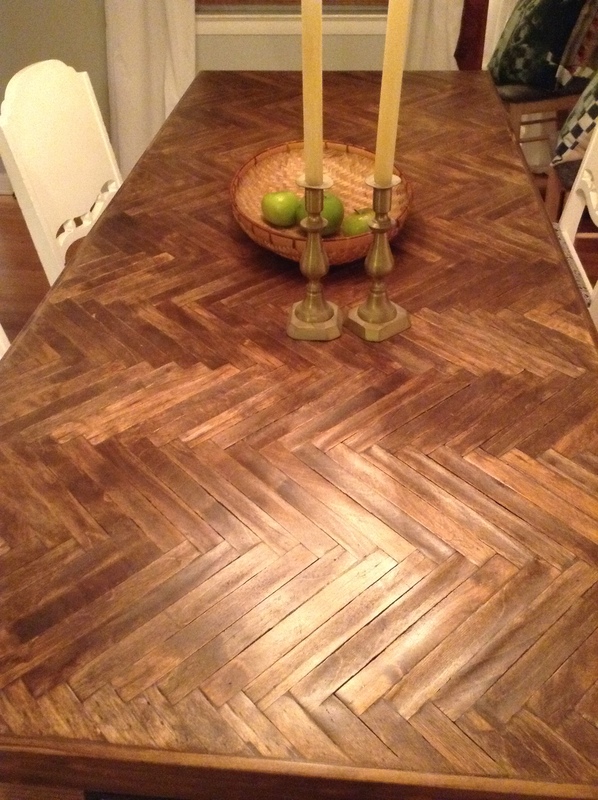 Maybe one side of the herringbone could be one of the floor colors washed and the other side the other color washed. Just a thought to tie it all together. That is what I was also thinking. Then, I bought a set of these to add here and there and got black tiles for the rest of the kitchen. Hoping it ends up looking nice. I just wanted to say that the Hubs only brought the pallets home for me in his truck, I will be using the table saw, sanding, sealing,building,independent girl here! Make sure the pallets are not treated. They tend to be toxic enough, it is not rec. to handle them without gloves. This company does exactly this – makes walls from reclaimed wood. Here is their catalogue: http://www.eandstile.net/wp-content/uploads/2012/12/EAS-006-2014-Catalog-Rd6.pdf and you can find bigger pics in their website. This is what I originally saw and liked: http://www.suburbanbitches.com/wp-content/uploads/2013/10/010814_2656_web.jpg and liked. Could you perhaps paint the wood with your floor colours before cutting it (and maybe scratch parts off)? Also, I’m very glad the kitty is going to be fine. You will get your sink soon and it will be amazing, after all these months you are almost there! I love these tiles!! Especially the whitewash ones – that would be my first choice. But not my kitchen. Still love them!! I’ve seen where people have used colored dye that after sanding, leaves just the grain soaked with color. Apparently this method doesn’t work well with pine though. The photos I’ve seen online are beautiful but it may be too busy for your kitchen. Rit dye does work wonders on pine, but it only lasts a few years, and then fades away into the sunset…………. Whatever you do will be beautiful, I have no doubt!! I’m glad kitty is better, and lots of well wishes for Matt…..I will add him to my “special” prayer list…. Hugs to you…give yourself a break!!! Yes! The herringbone backsplash pic! That is what I envisioned you would choose…or something similar in size maybe a skosh more metallic in glaze. 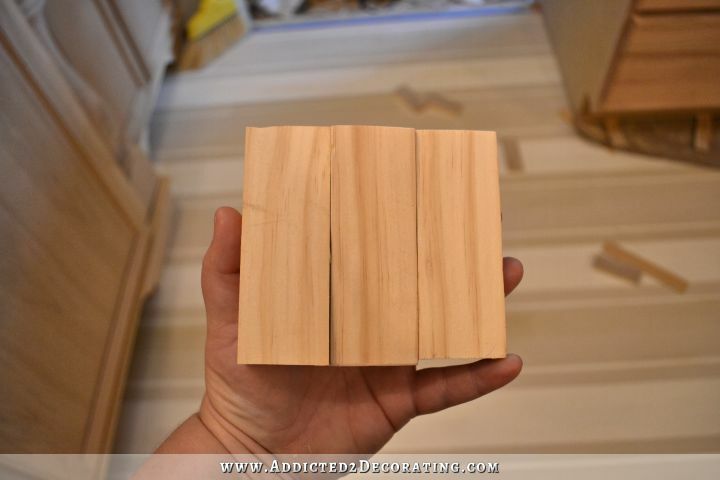 I am not sure how the wood backsplash fits in… But if anyone can make it work…you can! Good news about Powder and you will find the perfect solution for your backsplash- don’t settle for something you don’t want. I’m not sure if this has been mentioned by you previously, but if you were to do a Herringbone pattern, maybe you could use a metallic spray paint over top, like the brass you’d mentioned before? That’s if you feel interested in having the brass-like finish. I was definitely excited to see the outcome of the painted glass back splash, but I can see why it’d give you problems. But what if you’d painted something like a board or some coarse fabric to whichever color you’d like, and then place the glass over top of it? Maybe with a thin, colorless adhesive? ps. SO happy about your kitty!! I like the design you did on your lamps and feel this might look good in the kitchen on the back splash. Maybe the same colors or a variation. Love your blog posts. Hope Matt is feeling better and kitty is home and doing well! I don’t normally read blogs but yours really caught my attention and I’m hooked!! Wish I had the strength to follow in your footsteps!! Keep on going!! Love Ya!!! why don’t you use the same technique you used to make your stunning lamps? They look just like tile to me – you could use larger pieces in the back splash. That fancy green kitchen back splash totally looks like that lamp you made! That was the first post of yours that I read. That would look phenomenal.. you could figure out something along those lines I’m sure! Watco Danish Oil. Comes in various tints and is easy to apply. Since you are using pine I would use pre-stain conditioner to avoid blotches. OMW Kristi, your head must be reeling from all the suggestions and choices out there. I follow your boards on pinterest and just took another look a your kitchen board. Most of the kitchens you have pinned are bright and airy and have light backsplashes. I was just wondering if perhaps you are getting caught up in all options and forgetting that very often your first choice/like is the best one. Perhaps one shouldn’t mix too many different materials and rather use accessories to create the mood …….. Having said that I also know that whatever you decide to do will look absolutely fabulous!!!! 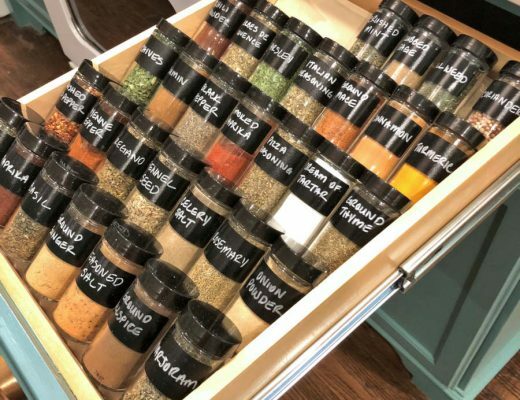 I may have sent you this link before when you were exploring cabinet colour choices. Here green and copper is used without any copper being used as a “fixture”. If you are absolutely commited to the herringbone , can’t you find some place that sells veneers. You could then choose the wood you like. If you are worried that the wood vaneer might be too flimsey get some cheap thin paneling, cut it to your size, then glue the “tiles” to the board inthe pattern you want. Finish (paint, pickle, stain) and seal. Then all youhave to do is attach to wall. You can work on it and walk away and do something else when it becomes tedious. What about timeless white subway tile in a herringbone pattern. This tile (Delfino Emperador Natural Stone Mosaic Wall Tile) appeared in our local (Florida) Lowe’s flyer. The picture in the flyer is more colorful than the one online – perhaps there are other color choices – but I thought that this would look quite handsome in your kitchen. Might need a sealer over it, though. Just a thought. Hope Matt and Kitty are both feeling better. And you too. I love your harringbone lamps. Maybe do something like that and put it behind glass. It would be easy to clean and change out. With your talent I am sure it would be beautiful. Sounds to me like you just need a hug. Praying both Matt and kitty are recovered soon, so your stress will be relieved. Then it will be much easier to decide what you want most out of too many suggestions. Remember, don’t stray too far from your own choices, or you’ll regret it in the long run. Why not give the backsplash a rest for a day or two while you finish up the peninsula. Then when your stress is relieved, you can tackle it with a whole new outlook. Thank you for sharing the tough times with us as well as the good. Genelle hit the nail on the head. Hugs and prayers heading your way for Matt, Powder and you. Step away for a day or so and finish the peninsula. Let the backsplash simmer somewhere in the hidden recesses of your brain. Once your life is back to normal revisit the backsplash ideas. Things will be clearer and you will decide on what is right for you. Because that is all that matters, what is right for you. Blessings to your family, including the fur babies. p.s. what a trooper you are…the task you’ve taken on is not for the faint of heart and then to put it out there for all to critique, is well…AMAZING! I just want to reiterate what Debs has just said. You are truly amazing and I commend you for ‘involving’ us all in your projects. Thank you for that. A2D is the highlight of my day. Hi, I’m glad your kitty is better. 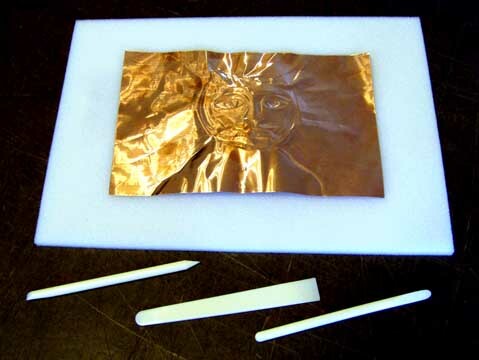 Have you thought about brass foil. You can buy different gauges. Some are thin enough to cut with scissors. This brass is not fragile. So many possibilities. Just google “brass foil”. There are several companies that sell it. I’m looking forward to see what you decide to do. U could wax the wood tiles? It darkens it just enough, just an idea! I love checking out your daily progress. Thanks for the inspiration! How about making your tiles out of a wood veneer? More choices! So glad to hear that Powder is better and is coming home! Hope your hubby is feeling better soon too. 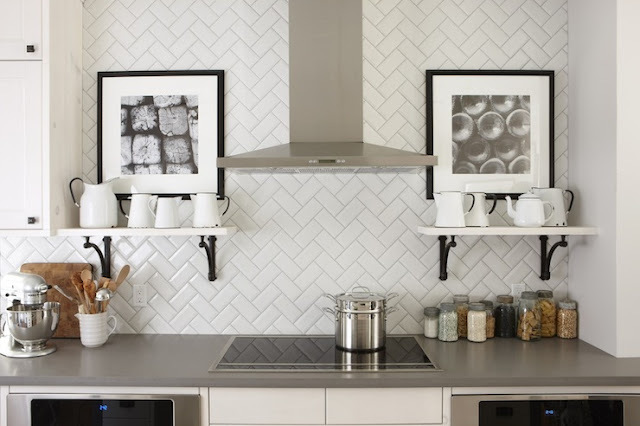 Love the idea of a herringbone backsplash. 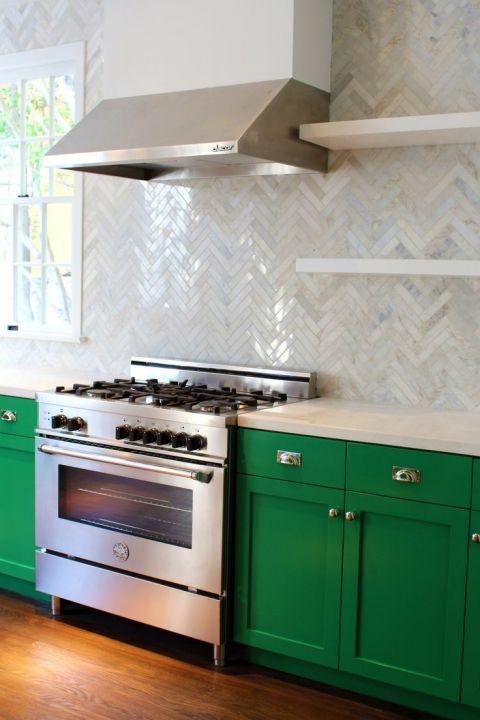 What would you think about back-painted glass tiles, set in a herringbone pattern? I saw this on Amazon and it made me think of you, because it has the back-painted glass, and the customer reviewer said they set theirs in a herringbone pattern. Love how beautifully your kitchen has come along. It’s so exciting to see the transformation! Hi Kristi! First of all, I hope Matt and kitty are both greatly improved! As far as back splashes go, you’ve received a bazillion ideas… I personally really like the picture you posted of the kitchen with emerald green cabinets and marbly white tiles (?) In the herringbone pattern. However, if you’re still wanting to do wood, could you possibly use those bazillion sticks of wood from your ceiling to make your tiles? You know so much more about stains, etc. but I thought they might work for the raw material. Kristi…So happy to hear Powder is better and able to come home. I am sure Matt will be better with some much needed rest. You are doing such an amazing job! All your decisions have been perfect and I am sure you back splash decision on will be perfect too. I saw a painted bask splash the looked fantastic. She just taped off her subway tile design and went to town with her color choices. 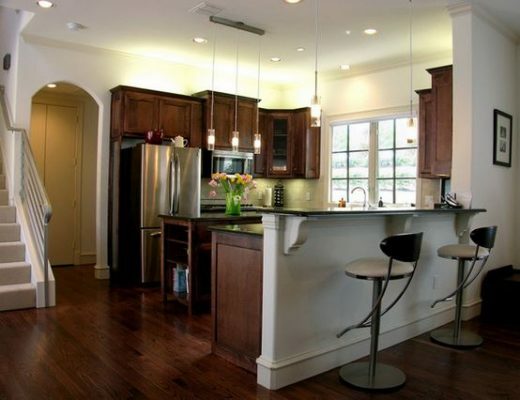 You could incorporate your floor colors, cabinet color or anything your fantastic imagination comes up with. You could possibly cover your paint job with glass afterwards. 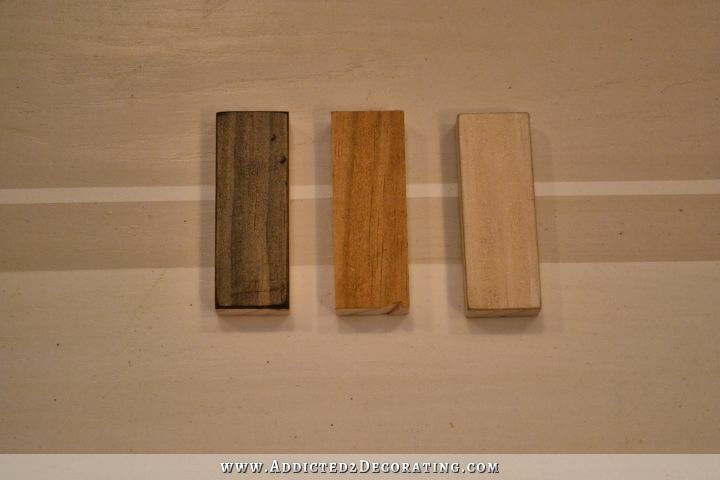 If you do want to use wood…could paint sticks be an option? Just my two cents worth! Love the backsplash in that kitchen! I’m glad your cat is doing better. So sorry to hear that Matt had a bad week and hope that this one will go better for all of you. That backsplash in the new inspiration photo is fantastic. Because of the color it’s subtle, but that shine gives it WOW. I guess it’s expensive? Regarding exhaustion, does Matt have his vitamin D levels checked regularly? I have RRMS, and at least once a year my energy disappears and I have to be put on a Rx strength round of vitamin D, generally at least 50,000 IU once a week for six weeks. People with autoimmune disorders tend to have a problem absorbing D, I’m outside everyday, take a daily 2,000 IU and still manage to run low. It can make a really huge difference, it did with me. You are amazing! I look forward to your posts. Back splash in the new inspiration photo is fantastic. Love the backsplash in that kitchen! I love checking out your daily progress. I like the design you did on your lamps and feel this might look good in the kitchen on the back splash. Thanks for the inspiration!